Lansing McLoskey’s music has been performed around the world, and has won more than two dozen national and international awards, including the prestigious Goddard Lieberson Fellowship from the American Academy of Arts and Letters, the International Joint Wind Quintet Project Commission Competition, and most recently the 2014 Red Note Festival Composition Competition and a 2013 Aaron Copland Recording Grant. 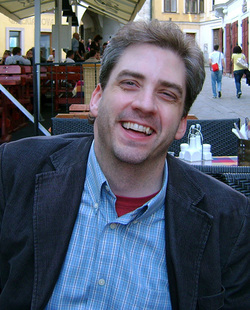 In 2009 he became the only composer in the 45 year history of the ISU New Music Festival to win both the chamber music and orchestral composition awards; both blind-juried national competitions with two independent panels. Recent performances include concerts in Berlin, Finland, Italy, Spain, Mexico, Colombia, the UK, Chicago, New York, Philadelphia, Cincinnati, Miami and performances at over a dozen music festivals in the past two years alone. Recent commissions include a concerto for Triton Brass and a consortium of wind ensembles, and new works for the Cincinnati Vocal Arts Ensemble, the newEar Ensemble for their 20th anniversary season, Chatham Baroque, the JWQP consortium of wind quintets, the soundSCAPE Festival in Maccagno, Italy, Ensemble Berlin PianoPercussion, and ensemberlino vocale in Berlin. 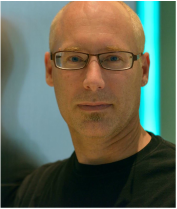 He has been a Guest Composer or Composer-in-Residence at Aspen, the Tanglewood Institute, the soundSCAPE Festival, Missouri Chamber Music Festival, Carolina Chamber Music Festival, and the Charlotte New Music Festival. 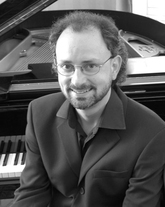 McCloskey is Professor of Composition at the University of Miami, Frost School of Music. Giacomo Platini studied piano and composition at the Conservatorio Giuseppe Verdi in Turin, and the Accademia Internazionale di Musica in Novara (Italy). He attended I.R.C.A.M. in Paris and the courses of the Académie d’Été. His compositions have been performed at the Cité Internationale Universitaire of Paris, at the Théatre Des Lisières and Italian Cultural Institute of Strasbourg, at the Chartreuse de Villeneuve-lez-Avignon, at the Museum of Art of Lugano (Switzerland), at the Centro para la Difusión de la Música Contemporánea of Madrid, and the Sala Mozart in Bologna. His music has also been performed in New York at the Guggenheim Museum, and at the Jack Space of Brooklyn. 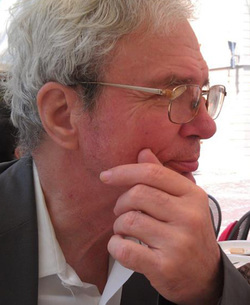 He is one of the founders of the PRISMA project, an international group of composers which works on computer-aided composition and new directions in musical research. Currently he is on faculty at the Conservatoire de Musique de Montbéliard (France) . Praised by The New York Times as “vivid and dramatic,” the music of Carl Schimmel is dense with literary and musical references, often humorous, and combines intensity of expression with a structural rigor which draws upon his mathematics background. Winner of the Bearns Prize and the Lee Ettelson Award, Schimmel has received honors and awards from many organizations, including MacDowell Colony, Yaddo, Copland House, New Music USA, and ASCAP. His works have been performed in Carnegie Hall’s Weill Hall, Merkin Hall in New York, Severance Hall in Cleveland, the National Arts Centre in Ottawa, St. Martin-in-the-Fields in London, Orchestra Hall in Minneapolis, and at other venues throughout North America, Europe, Australia, and Asia. 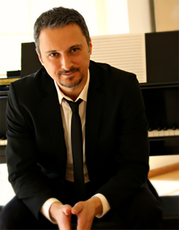 He has received performances and commissions from the American Composers Orchestra, the Minnesota Orchestra, the Buffalo Philharmonic Orchestra, Alarm Will Sound, and many others. 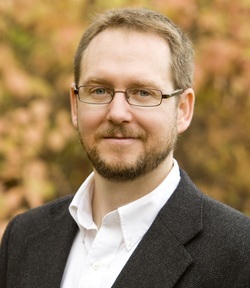 He is Associate Professor of Music Theory and Composition at Illinois State University.